Department of Biology, Mugla Sitki Kocman University, Faculty of Science, Mugla 48000, Turkey. ABSTRACT: Plants are an important source of substances which are claimed to induce biological activities. Although there are a few studies on antimicrobial and antioxidant activities of this plant, antimutagenic activity has not been studied and there is no study in Turkey. Antibacterial activities of Syzygium aromaticum against oral pathogens have not been reported until today. The scope of this work was to investigate the biological activities of S. aromaticum different extracts. The various extracts were screened for antibacterial activity. The bacteria were isolated from oral flora by traditional methods. The plant extracts were tested by Kirby-Bauer method. Other antibacterial activities tests are MIC (minimum inhibitory concentration) and MBC (minimum bactericidal concentration). In addition to, the antioxidant activities of plant extracts were screened by the stable DPPH (2, 2-diphenyl- 1-picrylhydrazyl hydrate) free-radical. The antimutagenicity of the plant extracts were determined by Ames test using Salmonella typimurium strains. The highest antibacterial activity was determined as 20 mm inhibition zone from methanol extracts. The highest DPPH scavenging activity was found as 82% from aqueous extract. S. aromaticum extracts have antibacterial, antioxidant and antimutagenic potentials. Our results support the use of this plant in traditional medicine and show that some of the plant extracts possess compounds with good biological activities. INTRODUCTION: Dental caries are one of the public health concerns for several reasons. Teeth affected with dental caries are sources of infection, which can cause an inflammation of dental pulp, periodonteum and gums. If left untreated, this disease gradually leads to teeth loss, which causes chewing difficulties and aesthetic problems 1. It remains one of the most widespread diseases of the mankind. In developing countries, dental caries is often at epidemic proportions, especially among the poor. Nowadays microorganisms have become resistance to many antibiotics due to increased use of drugs, which is decreasing efficiency of conventional medicines. So, it has become necessary to find out new antimicrobial agents. Prevention of pathogenic microorganisms in dental caries are usually achieved by using chemical preservatives but they are responsible for many carcinogenic and teratogenic attributes as well as residual toxicity and with growing concern of microbial resistance towards conventional preservatives, consumers tend to be suspicious of chemical additives and thus the exploration of naturally occurring antimicrobial for mouth preservatives receives increasing attention 2. Presently, the major problem is that we can not use chemical preservatives safely now a day due to carcino-genic nature of these chemicals 3. Higher aromatics plants have traditionally been used in folk medicine; antimicrobial properties of these plants are well documented against bacteria, fungi and yeasts 4. Most of the medicinal properties of these plants are directly correlated with the essential oils produced by these plants. Essential oils and extracts of these plants are able to control microorganisms related to skin diseases, dental caries and food spoilage 5. Syzygium aromaticum (clove) is one of the most valuable spices that have been used from centuries as food preservative and for many medicinal purposes. Nowadays cloves are cultivated in several parts of the World 6. Syzygium species (Fam. Myrtaceae) have been reported to possess biological activities 7. Clove’s Botanical name is Caryophyllus aromaticus which is derived from the Latin "clavus", which means nail due to its resemblance with the shape. The clove tree is an evergreen tropical plant, which flowers twice every year. Cloves are the unopened buds and harvested when the outer green leaves have changed from green to a yellow pink 8. The cloves are highly antiseptic 9, antimutagenic, anti-inflammatory, antioxidant, anti-ulcerogenic, antithrombotic, anti-parasitic 10, antibacterial 11, antifungal 12, and antiviral 13. Bud oil of clove has natural behavior and the main properties include antioxidant, insecticidal, antifungal and antibacterial properties 3. Flower bud have many medicinal properties like antimicrobial, general stimulating, carminative and anesthetic 14, 15. The active ingredients of plants against microorganisms are mostly some of the secondary metabolites 8. The most important constituent of clove is the eugenol due to which it has strong characteristic aroma 16. Several compounds from S. aromaticum have been found to possess growth inhibitory activity against oral pathogens, namely 5, 7-dihydroxy-2-methylchromone-8-C-β- D-gluco-pyranoside, biflorin, kaempferol, rhamnocitrin, myricetin, gallic acid, ellagic acid and oleanolic acid 17. Recently, flavonoide triglycosides have been isolated 18. The present study was scoped to evaluate the antibacterial, antioxidant and antimutagenic potency of Syzygium aromaticum plant from Turkey, therefore justifying the use of this plant in ethno-medicine for treatment of various ailments. Organisms: In this study, 8 bacteria were used in experiments. Bacteria were isolated aseptically from mouth flora of different people. The identifications of bacteria were studied by traditional methods by Assoc. Prof. Dr. Gulten Okmen 19, 20, 21. The bacterial growth were provided at Mueller- Hinton Broth (MHB; Merck).. Incubation was at 37 ºC for 24 h.
Plant Material: Syzygium aromaticum dried flower table was obtained from akhtars in Mugla on October 2017. The identity of plant was confirmed by Prof. Dr. Guven Gork. The specimens were stored at the Herbarium of Department of Biology, Mugla Sitki Kocman University (Voucher no: OC 1250). The identification of the plant was carried out with the Flora of Turkey 22. Plant Extraction: The dried flower tables were washed with flowing water and once with sterile distilled water. This process was done 2-3 times. Then this material was powdered in a blender. All samples were stored at ambient temperature until initial sample preparation, after which they were stored at 4 ºC until required for analysis. The samples (30 g) were extracted with ethanol, methanol and aqueous (350 mg/mL) using by Soxhlet. These experiments were continued for 4 h. All of the extracts were evaporated and then the extracts were dissolved in their solvent and then kept in small sterile opac bottles under refrigerated conditions until used. All of the extracts concentrations were set to 350 mg/mL. Cultivation of Microorganisms: The extracts were tested against oral pathogens. The oral pathogens were grown at 37 ºC at Mueller- Hinton Broth (Merck). Duration of incubation was 24 h.
In-vitro Antibacterial Activity: Antibacterial activity studies were done with Kirby-Bauer method 23. The extracts of plant were tested by disc diffusion assay. The concentration and quantity of extracts were taken as 350 mg/ml and 30 µL. In this study, ethanol, methanol and aqueous were used as organic solvents. The active cultures of bacteria were inoculated on Mueller-Hinton agar plates (MHA, Merck). The concentrations of cultures were adjusted to 0.5 McFarland. The experiments were performed in triplicate. The incubation of bacteria were done at 37 ºC in 24 h. Then, the inhibition zone values were measured. Ethanol, methanol and water are negative controls. In this study, a lot of antibiotics used for positive control. Determination of Minimum İnhibitory Concentration (MIC): The other antibacterial activity study is MIC. The broth dilution method was done as described in the CLSI standards 24, 25. In this test, final concentrations of each extract were performed as 26000, 13000, 6500, 3250 and 1625 μg/mL. Determination of Minimum Bactericidal Concentration (MBC): MBC was determined by using the broth dilution technique 26 by assaying the test tubes resulting from MIC determinations. A loopful of the content of each test tube was independently inoculated by streaking on a solidified nutrient agar plate incubated at 37 ºC for 24 h and then observed for bacterial growth. The lowest concentration of the subculture with no growth was considered the minimum bactericidal concentration. Determination of Non-Enzymatic Antioxidant Activity: The stable 2,2-diphenyl-1-picrylhydrazyl hydrate radical (DPPH) was used for determination of free radical scavenging activities of the extracts. Extract (0.1 mL) was added to 3.9 mL of a 0.1 mM methanol DPPH solution. After incubation for 30 min, absorbance of extract was measured at 515 nm by spectrophotometer. Methanol is blank. The methanol with DPPH solution was used as control 27. Trolox is reference antioxidant. The DPPH scavenging capacity expressed in percentage (%) was calculated using the formula. Determination of Antimutagenic Activity: Antimutagenic activity tests were evaluated by the Salmonella - microsome method. Salmonella typimurium tester strains TA98 and TA100 were used in this study. The bacteria kindly provided by Dr. B. N. Ames (Berkeley, CA, USA), without (−S9) metabolization by the pre-incubation method 28. In this study, these strains included Salmonella typimurium TA98 and TA100. The Salmonella histidine point mutation assay of Maron and Ames 28 was used to determine the antimutagenic activities of Syzygium aromaticum extracts without S9 mix. The percentage of inhibition was calculated according to the formula given by Ong et al., 29 Sodium azide was used as positive control. Methanol is negative control. Concurrently, a positive control (where mutagen but no extract was added) and a negative control (where no mutagen was added) were also set. The test sample was dissolved in methanol. But mutagen was dissolved in distilled water. In our study, non-toxic concentrations of the test sample used for investigating were 50000, 25000, 12500, 6250, 3125 and 1562 µg/plate. RESULTS: The antibacterial activities of extracts of Syzygium aromaticum were tested against 8 microorganisms, which are known to cause diseases in teeths. MBKK1 and MBKK2 were Gram negative bacteria. The other bacteria were Staphylococcus and Gram positive. These bacteria are including Serratia sp. MBKK1 and MBKK2, Staphylococcus sp. MBKK3, S. aureus MBKK4 and MBKK5, Staphylococcus epidermidis MBKK6, MBKK7 and MBKK8. The table of identification not shown. Results of antibacterial activities of used plant extracts against the test pathogens are shown in Table 1. Besides, the inhibition zone diameters of the reference antibiotics to the test organisms are shown in Table 2. The results of zones of inhibition were recorded as in mm for all the materials used as follows. Results show that Syzygium aromaticum extracts inhibit the growths of bacteria and the inhibition zones were between 8 to 20 mm. The highest inhibition zone was found against Staphylococcus sp. MBKK3. The inhibition zone was 20 mm. Additionally, all of the extracts were determined antibacterial effects against used test bacteria Table 1. Reference antibiotics used as positive control. A lot of antibiotics very strongly inhibited the bacterial growths Table 2 and 3. Table 4 shows MIC values of Syzygium aromaticum extracts. The lowest MIC value was 1625 µg/mL for two bacteria. Table 5 shows MBCs of Syzygium aromaticum extracts obtained by the broth dilution method. The lowest MBC value was 3250 µg/mL for two bacteria. Table 6 shows the percent of DPPH radical scavenging capacity with trolox as reference. The aqueous extract showed 82.7% inhibition at 350 mg/mL concentration. Trolox equivalent value was 2.2 mM/g Table 6. In this study, these concentrations were categorized as non-toxic because they showed a well-developed lawn, almost similar size of colonies and no statistical difference in the number of spontaneous revertants in test and control plates. The antimutagenic activities of the extracts were evaluated by the against NaN3 (sodium azide) by Ames test in absence of rat microsomal liver enzyme (-S9). Table 7 and 8 shows the percent of inhibition. The methanol extracts of Syzygium aromaticum (6250 µg/plate) was found to have its lowest antimutagenic activity for Salmonella typhimurium TA98. This inhibition value is 15% Table 7. S. aromaticum extracts (6250 µg/plate) detected a moderate positive effect (27 %) for S. typhimurium TA100 Table 8. DISCUSSION: Herbal medicines have been shown to have genuine utility and about 80% of rural population depends on its primary health care. Bioactive compounds are playing an important role for the treatment of different diseases. As a results of findings, the Syzygium aromaticum flower tables contain bioactive compounds that explain the importance of S. aromaticum as medicinal plant. Results show that the S. aromaticum extracts inhibit bacterial growths. The highest inhibition zone was found against MBKK and the inhibition zone was 20 mm Table 1. Soni and Dahiya 30 reported that antimicrobial activities of Syzygium caryophyllatum essential oil was found between 7 to 22 mm inhibition zone. High levels of eugenol present in S. caryophyllatum essential oil is responsible for strong antimicrobial activity. This phenolic compound can denature proteins and reacts with cell membrane phospholipids changing their permeability 31, 32, 33. In this work, antibacterial activities of S. aromaticum extracts were found against Gram positive bacteria Table 1. All of these bacteria are Staphylococcus. Abdelkader and Halawani 34 reported that Staphylococcus aureus ATCC 25923 were affected strongly from S. aromaticum extracts. A previous study in Turkey 35 showed that the chemical composition of S. aromaticum oil had about 87% eugenol, 8% eugenyl acetate and 3.6% β-caryophyllene. The modes of action by which microorganisms are inhibited by essential oil and their chemical compounds seem to involve different mechanisms. It has been hypothesized that the inhibition involves phenolic compounds, because these compounds sensitize the microbial cytoplasmic membrane causing increased permeability, unavailability of vital intracellular ingredients 36 and / or impairment of bacterial enzymes systems 37. Previous studies also showed that clove had strong antibacterial activity against Gram positive bacteria 38, 39, 40, 41. Our results are in agreement with those reported by these studies. In our study, extracts were affected two Gram negative bacteria Table 1. The antimicrobial activity of Syzygium caryophyllatum oil showed strong antibacterial activity against all bacterial isolates tested with maximum activity against Pseudomonas aeruginosa. Klebsiella pneumoniae, Serratia marcescens, Salmonella typhi, Shigella dysentriae and Vibrio cholerae were found resistant 13. The antibacterial activity of S. caryophyllatum is attributed to eugenol. High tannin content (10 - 19%) in S. caryophyllatum also provides additional antimicrobial activity 42. The antibacterial activity of flavonoids can be explained by the toxicity of this compound towards non- specific interactions in showed susceptibility, such as the establishment of hydrogen bonds with the cell walls proteins or enzymes, the chelation of metal ions, inhibition of bacterial metabolism, sequestration of substances necessary for the growth of bacteria. Also, the β-ring of flavonoids is important in the intercalation with nucleic acids, thus inhibits DNA and RNA synthesis. It can also inhibit the DNA gyrase of Escherichia coli 43, 44. Previous studies also found that clove had strong antibacterial activity against Gram positive bacteria 13, 38, 39, 40, 41, 45, 46. Our results are in agreement with those reported by these studies. In this study, two bacteria were showed the lowest sensitivity to extracts of Syzygium aromaticum (1625 µg/mL). Therefore MBC value was 3250 µg/mL Table 4. Abdelkader and Halawani 34 reported that ethanolic extracts of S. aromaticum exhibited maximum activities against S. aureus ATCC 25923 with MIC = 62.5 μg/mL while MBC value was 125 μg/mL. Barakat 38 reported that MIC value for S. aureus was 1500 µg/mL. Dua et al., 41 reported that MIC values for S. aureus and E. coli were 0.98 and 3.90 mg/mL, respectively. Whereas Karunamoonthy et al., 47 were studied by S. benthamianum, and MIC values were found 250 and 500 µg/mL for E. coli and S. aureus, respectively. Results of our study are similar with this results. In these study, the extracts of S. aromaticum have different free radical inhibition. The aqueous extract of flower tables showed 82.7% inhibition at 350 mg/mL concentration Table 6. Previous studies also showed that clove had strong antioxidant activity, and a high level of phenolics 48, 49. Our results are in agreement with those reported by these studies. These DPPH scavenging activity differences might be caused by geographic origins, climatic and seasonal conditions, the time of collection, the stage of development, the method of extraction and even might be correlated to the existence of new chemotypes 13. In our study, the extracts of S. aromaticum (6250 µg/plate) were found to have its low antimutagenic activity for Salmonella typhimurium TA98. This inhibition value is 17% Table 6. Whereas, ethanol extract of plant were shown moderate effect for S. typhimurium TA100 Table 7. In determining the antimutagenic potential of a sample, a value smaller than 20% inhibition of the mutagen activity indicates a weak or non-antimutagenic effect, a moderate effect when the value is between 20 and 40% and strong antimutagenicity when the value is greater than 40% 50. Karunamoonthy et al., 47 reported anticancer activity for S. benthamianum. This also supports our results. CONCLUSION: In the present study, extracts of Syzygium aromaticum inhibited the bacterial growths, but their effectiveness varied. Ethanolic, methanolic and water extracts of S. aromaticum showed considerable antibacterial properties against the tested organisms. The results obtained in this report clearly demonstrate that greater part of tested extracts exhibited strong antioxidant activities, particularly, to scavenge free radicals generated from DPPH reagent, especially S. aromaticum aqueous extract. The aqueous extract of S. aromaticum, should be useful as an antioxidant protection system. Furthermore the extracts of S. aromaticum have weak anti-mutagenic activity for Salmonella typhimurium TA98. Whereas, the extracts of S. aromaticum have moderate antimutagenic activity for S. typhimurium TA100. It may be suggested from the present findings that S. aromaticum extracts can be used as a potential source of natural antimicrobial compound possessing strong antioxidant potential. However, further research is needed for the identification of biologically active compounds present and in vivo studies using animal model. In subsequent researches, fractionation and characterization of the active components should be do further works to investigate. ACKNOWLEDGEMENT: This study was supported by Mugla Sitki Kocman University Research Funds (Project number: 17/072). The authors wish to thank Prof. Dr. M. Guven Gork for identification of this plant (Mugla Sitki Kocman University, Turkey). CONFLICT OF INTEREST: The authors declare no conflict of interest. Yadav K and Prakash S: Dental Caries: A Review. Asian Journal of Biomedical and Pharmaceutical Sciences 2017; 6: 1-7. Nychas GJE: Natural Antimicrobials from plants. Springer, Boston, 1995: 58-89. Yadav K and Prakash S: Dental Caries: A microbiological approach. Journal of Clinical Infectious Diseases and Practice 2017; 2(1): 1-15. Karkosh AA: Study of in vitro antibacterial activity of the essential oils of cloves (Syzygium aromaticum) and the effect of temperature on antibacterial activity. Euphrates Journal of Agriculture Science 2012; 4: 15-19. Chaieb K, Hajlaoui H, Zmantar T, Kahla-Nakbi AB, Rouabhia M, Mahdouani K and Bakhrouf A: The chemical composition and biological activity of clove essential oil, Eugenia caryophyllata (Syzygium aromaticum ). Phytotherapy Research 2007; 21: 501-506. Cortés-Rojas DF, De Souza CRF and Pereira Oliveira W: Clove (Syzygium aromaticum): a precious spice. Asian Pacific Journal of Tropical Biomedicine 2014; 4: 90-96. Pandey A and Singh P: Antibacterial activity of Syzygium aromaticum (clove) with metal ion effect against food borne pathogens. Asian Journal of Plant Science and Research 2011; 1(2): 69-80. Raj G, Pradeep NS, George V and Sethuraman MG: Chemical composition and antimicrobial activity of Syzygium caryophyllatum (L.) Alston leaf oil. Indian Journal of Chemistry 2016; 55B: 747-751. IOS (International Organization for Standardization): Oil of clover leaf [Syzygium aromaticum (Linnaeus) Merril and Perry, syn. Eugenia caryophyllus (Sprengel) Bullock and S. Harrison]. ISO-Directive 3141/1997, Geneva, Switzerland, 2002. Edris AE: Pharmaceutical and therapeutic potentials of essential oils and their individual volatile constituents: a review. Phytotheraphy Research 2007; 21(4): 308-23. Taroq A, El Kamari F, Oumokhtar B, Aouam I, El Atki Y, Lyoussi B and Abdellaoui A: Phytochemical screening of the essential oil of Syzygium aromaticum and antibacterial activity against nosocomial ınfections in neonatal ıntensive care. International Journal of Pharmaceutical Sciences Review and Research 2018; 48(1): 58-61. Park MJ, Gwak KS, Yang I, Choi WS, Jo HJ, Chang WJ, Jeung EB, and Choi IG: Antifungal activities of the essential oils in Syzygium aromaticum (L.) Merr. et Perry and Leptospermum betersonni Bailey and their constituents against various dermatophytes. Journal of Microbiology 2007; 45: 460-465. Saeed S and Tariq P: In vitro antibacterial activity of clove against Gram negative bacteria. Pakistan Journal of Botany 2008; 40(5): 2157-2160. Koba K, Nenonene AY, Raynaud C, Chaumont JP and Sanda K: Antibacterial activities of the buds essential oil of Syzygium aromaticum (L.) Merr. & Perry from Togo. Journal of Biologically Active Products from Nature 2011; 1(1): 42-51. Machado M, Dinis AM, Salgueiro L, Custódio JBA, Cavaleiro C and Sousa MC: Anti-Giardia activity of Syzygium aromaticum essential oil and eugenol: Effects on growth, viability, adherence and ultrastructure. Experimental Parasitology 2011; 127: 32-39. Nassar MI, Gaara AH, El-Ghorab AH, Farrag ARH, Shen H, Huq E and Mabry TJ: Chemical constituents of clove (Syzygium aromaticum, Fam. Myrtaceae) and their antioxidant activity. Revista Latinoamericana de Química 2007; 35(3): 47-57. Shan B, Cai YZ, Sun M and Corke H: Antioxidant capacity of 26 spice extracts and characterization of their phenolic constituents. Journal of Agricultural Food Chemistry 2005; 53(20): 7749-7759. Monica C: Medical Laboratory Manual for Tropical Countries. Butterworth-Heinemann Ltd, Second Edition 1991. Davis PH: Flora of Turkey and East Aegean Islands. Edinburgh University Press, Edinburgh, 1988. Bauer AW, Kirby WM, Sherris JC and Turck M: Antibiotic susceptibility testing by a standardized single disk method. American Journal of Clinical Pathology 1966; 45(4): 493-496. CLSI (Clinical and Laboratory Standarts Institute): Methods for dilution antimicrobial susceptibility test for bacteria that grow aerobically. Approved Standard M7-A, Wayne, Philadelphia, USA, Sixth Edition 2003. CLSI (Clinical and Laboratory Standarts Institute): Performance standards for antimicrobial susceptibility testing. Informational supplement M100-S16, Wayne, Philadelphia, USA, Sixteenth Edition, 2006. Vollekovà A, Kòst’àlovà D and Sochorovà R: Isoquinoline alkaloids from Mahonia aquifolium stem bark is active against Malassezia Folia Microbiologica 2001; 46: 107-110. Brand-Williams W, Cuvelier ME and Berset C: Use of a free radical method to evaluate antioxidant activity. Lebensmittel-Wissenschaft & Technologie 1995; 28: 25-30. Maron DM and Ames BN: Revised methods for the Salmonellamutagenicity test. Mutation Research 1983; 113: 173-215. Ong T, Wong W and Stwart JD: Chlorophyllin a potent antimutagen against environmental and dietary complex mixture. Mutation Research 1986; 173: 111-115. Soni A and Dahiya P: Phytochemical analysis, antioxidant and antimicrobial activity of Syzygium caryophyllatum essential oil. Asian Journal of Pharmaceutical Clinical Research 2014; 7(2): 202-205. Briozzo J: Antimicrobial activity of clove oil dispersed in a concentrated sugar solution. Journal of Applied Bacteriology 1989; 66: 69-75. Suresh P, Ingle VK and Vijayalakshmi V: Antibacterial activity of eugenol in comparison with other antibiotics. Journalof Food Science and Technology 1992; 29: 256-257. Tampieri MP, Galuppi R, Macchioni F, Carelle MS, Falcioni L, Cioni PL and Morelli I: The inhibition of Candida albicans by selected essential oils and their major components. Mycopathologia 2005; 159: 339-345. Abdelkader HS and Halawani EM: GC-MS Analysis and antimicrobial activity of Syzygium aromaticum extracts from Taif, Saudi Arabia. 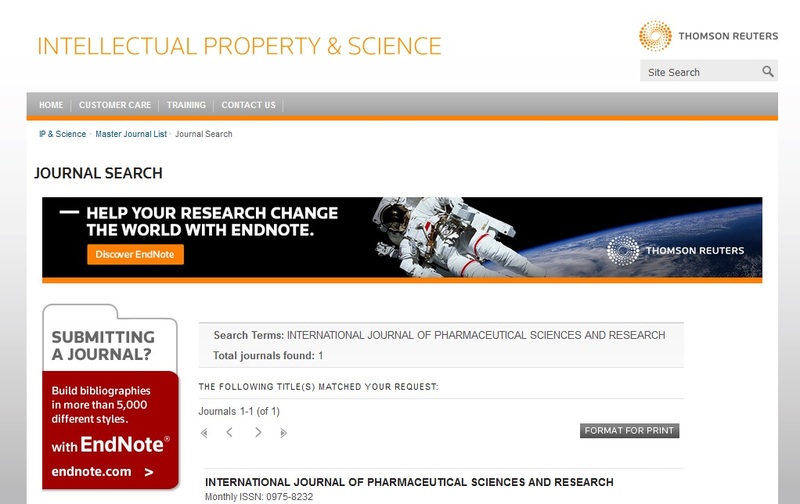 International Journal of Pharma and Bio Sciences 2014; 5(3)(P): 389-401. Alma MH, Ertas M, Nitz S and Kollmannsberger H: Chemical composition and content of essential oil from the bud of cultivated Turkish clove (Syzygium aromaticum ). BioResources 2007; 2(2): 265-269. Juven BJ, Kanner J, Sched F and Weisslowicz H: Factors that interact with the antibacterial of thyme essential oil and its active constituents. Journal of Applied Microbiology 1994; 76: 626-631. Farag RS, Badei AZM, Hewedi FM and El-Baroty GSA: Antioxidant activity of some spice essential oils on linoleic acid oxidation in aqueous media. Journal of the American Oil Chemists Society 1989; 66: 792-799. Barakat H: Composition, antioxidant, antibacterial activities and mode of action of clove (Syzygium aromaticum L.) buds essential oil. British Journal of Applied Science & Technology 2014; 4(13): 1934-1951. Dada AA, Ifesan BOT and Fashakin JF: Antimicrobial and antioxidant properties of selected local spices used in “kunun” beverage in Nigeria. Acta Scientiarum Polonorum Technologia Alimentaria 2013; 12(4): 373-378. Wankhede TB: Evaluation of antioxidant and antimicrobial activity of the Indian clove Syzygium aromaticum Merr. & Perr. 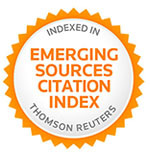 International Research Journal of Science and Engineering 2015; 3(4): 166-172. Dua A, Garg G, Nagar S and Mahajan R: Methanol extract of clove (Syzygium aromaticum Linn.) damages cells and inhibits growth of enteropathogens. Journal of Innovative Biology 2014; 1(4): 200-205. Namasombat S and Lohasupthawee P: Antibacterial activity of ethanolic extracts and essential oils of spices against Salmonella and other Enterobacteria. KMITL Science and Technology Journal 2005; 5: 527-38. Lee DG, Kim HK, Park Y, Park SC, Woo ER, Jeong HG and Hahm KS: Gram positive bacteria specific properties of silybin derived from Silybum marianum. Archives Pharmacal Research 2003; 26: 597-600. Bessam FH, Mehdadi Z: Evaluation ofthe antibacterial and antifongigal activity of different extract of flavonoïques Silybum marianum L. Advances in Environmental Biology 2014; 8: 1-9. Singh R, Lawrence R, Lawrence K, Agarwal B, Gupta RK and Dar S: Antioxidant and antibacterial activity of Syzigium aromaticum, Zingiber officinale and Cinnamo-mum zeylanicum essential oils. Chemical Science Transactions 2015; 4(1): 239-245. Abd-El Azim MHM, Amani MDEM, El-Gerby M and Awad A: Anti-tumor, antioxidant and antimicrobial and the phenolic constituents of clove flower buds (Syzygium aromaticum). Journal Microbial & Biochemical Technology 2014; S8: 1-4.doi:10.4172/1948-5948.S8-007. Karunamoorthy K, Jothiramshekar S, Palanisami E, Puthiyapurayil S and Ajay P: Chemical composition, antimicrobial, antioxidant and anticancer activity of leaves of Syzygium benthamianum (Wight ex Duthie) Gamble. Journal of Biologically Active Products from Nature 2011; 1(4): 273-278. Lee KG and Shibamoto T: Antioxidant property of aroma extract isolated from clove buds [Syzygium aromaticum (L.) Merr. Et Perry]. Food Chemistry 2001; 74: 443-448. Singh A, Singh RK, Bhunia AK and Singh N: Efficacy of plant essential oils as antimicrobial agents against Listeria monocytogenes in hotdogs. LWT-Food Science and Technology 2003; 36: 787-794. Gülçin İ, Şat İG, Beydemir Ş, Elmastaş M and Küfrevioğlu Öİ: Comparison of antioxidant activity of clove (Eugenia caryophylata ) buds and lavender (Lavandula stoechas L.). Food Chemistry 2004; 87: 393-400. Negi PS, Jayaprakasha GK and Jena BS: Antioxidant ve antimutagenic activities of pomogrenate peel extracts. Food Chemistry 2003; 80: 393-397. Okmen G, Mammadhkanli M and Vurkun M: The antibacterial activities of Syzygium aromaticum (L.) Merr. & Perry against oral bacteria and its antioxidant and antimutagenic activities. Int J Pharm Sci & Res 2018; 9(11): 4634-41. doi: 10.13040/IJPSR.0975-8232.9(11).4634-41. Authors Address: Department of Biology, Mugla Sitki Kocman University, Faculty of Science, Mugla 48000, Turkey.